Discovering that something you like is on sale is always a pleasure and just like you would with fashion, books or plane tickets, when you buy wine at offers, a little bit of planning and knowing what to look for can go a long way and will help you to find true value and make the most out of the many available deals. This month, O’Brien’s Wines launches its big yearly wine sale. Approximately a hundred bottles see substantial price cuts -sometimes up to 50% off- and while wine lovers are spoiled for choice because all of their bottles are carefully selected by a trustworthy team, with these simple tips it will be easier to spot the best bargains and not only save the most, but get the best quality for your money. 1. Off the Beaten Track: Finding an inexpensive Grand Cru is like stumbling into a unicorn, not just because it’s beautiful but because it is extremely unlikely. If you think outside the box when it comes to regions, you will find more variety and generally, better bargains. In France, Beaujolais, Langedoc, and Loire Valley tend to offer very competitive prices when compared to Bordeaux and Bourgogne. Spanish wine lovers, Rioja and Ribera del Duero are gorgeous, but also have a look at Navarra, Rias Baixas and La Mancha. 2. But not too obscure either: Going to the other extreme will also divert you from the hottest deals. 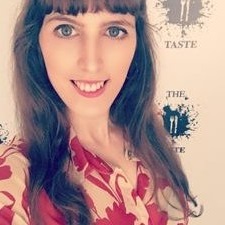 As they are generally more niche and lower quantities are brought in, very unknown varieties or regions can’t always benefit from the economy of scale than those moderately famous or up and coming have. 3. See it as a chance to try something new: There might be many bottles you know and love but a wine sale is a good opportunity to discover a new wine, especially if it has a good discount. If you like it, fantastic! If you don’t, it costs you less to find out. Either way, you’ll increase your knowledge and will have the pleasure of trying something different. 4. Stock up on your favourites: Is that wine you love on sale? If you know you buy a bottle of it regularly, it might make sense to buy a box or half box. If you save between five to ten euros per bottle, you will get a nice bit of extra disposable cash to treat yourself to something else you enjoy. 5. Mind the Vintage: If you are stocking up, take into consideration that many wines are meant to be drunk young and fresh. If you plan to buy bottles to store for more than a year, avoid light and delicate rosés or entry level white wines which don’t age that well and go instead for sturdier wines. Look for wines with some maturing, whether in steel tanks of oak, as this will give them more structure and will help them to stay in shape for longer. 6. Check your calendar: Are there any dinner parties, birthdays or social events in the next few months for which you’re likely to buy wine? Taking a moment to make a list of expected wine purchases might seem something for party planers and collectors, but think about it, you might get something special now, or rush to a convenience shop half an hour before the party and end up paying more for less. 7. Do your homework: You’re already reading this, which is great, but with so many alternatives, it is a good idea to do some Googling before visiting the shop and check some reviews of the bottles you’re interested in, especially if you’re thinking to seize a deal on a pricey one. You can also use vine apps such as Delectable, Vivino or Wine Searcher. 8. Think Christmas: September flies and sooner than you know, temperatures go down and fairy lights start shining. Unexpected hosting, visits to friends and last minutes presents can always be solved gracefully with a bottle of wine and if you harvested wisely during the autumn, come winter you’ll be sorted, at least in the wine department. 9. Shop online and benefit from free delivery services: Time is money and saving it (and the effort of having to move around with a heavy box) will only help you make these deals even sweeter. O’Briens Wines offers free delivery for purchases of over €60 across the Republic of Ireland, so you can indulge in some online shopping and save the trip. 10. If you go to the shop in person, prepare in advance and take your time: Even if online shopping is not your thing and you rather go to the shop, have a look online at the wines on sale ahead and prepare a list of those that appeal to you. 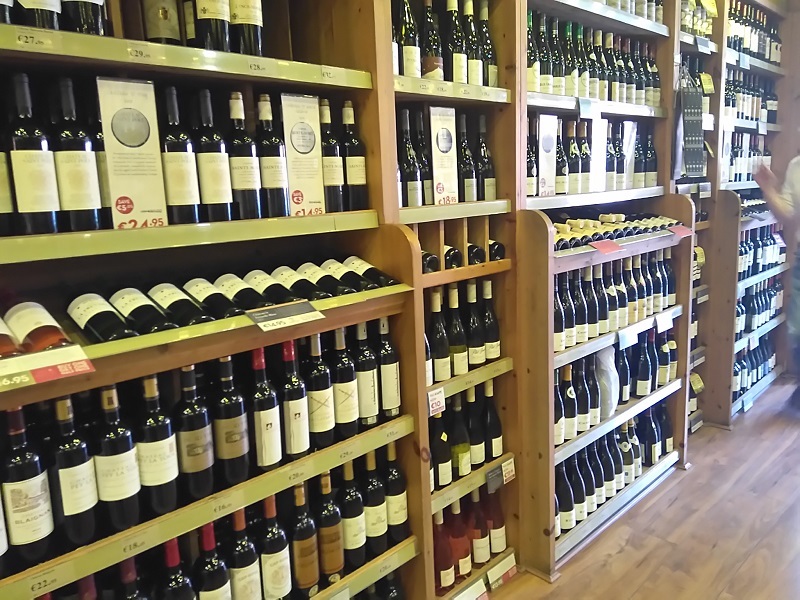 Ideally, go at a time when it’s not extremely busy and talk to the staff, they know the wines well and have been briefed on the sale details so they will be able to help you find the best one for your taste and occasion. By the way, asking them which ones are their favourites is a great thing to do, O’Briens Wines sales staff goes through constant training and even the least experienced sales assistants are passionate about wine so you might discover a great find that you wouldn’t have spotted without their advise. Or, if you want us to make your life even easier, you can simple check our top picks bellow. While there are many other excellent wines at the sale, we found the quality/value ratio on these simply outstanding. 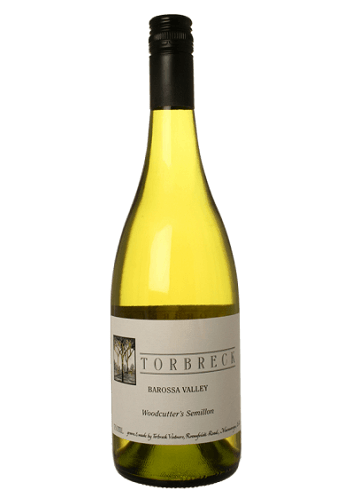 The warm climate of Barossa is just meant to be for Semillon where the grape ripens beautifully. Half of this wine is aged in used French oak, which gives it a pleasant depth and structure, without interfering much with the freshness of its fruit. Aromatic, medium bodied and with a mix of citrus, honey and delicately toasted notes. Why is it among our picks from the sale: Semillon is less commonly mass produced than other white grapes, therefore, finding a fine exemplar under the €20 mark is rare. Jumilla benefits from continental weather in the South-East of Spain. This allows grapes to develop generous amounts of sugars, hence the 14,7% ABV, however, an altitude of 600 metres and a careful, handpicked harvest, allows the wine to remain lively. 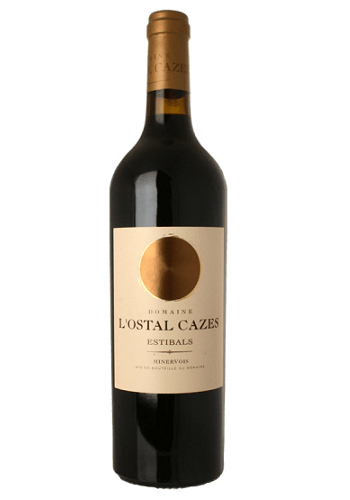 Firm tannins enhanced by 12 months of barrel ageing keep up with the alcohol bringing balance to a wine rich in ripe forest fruit and roasted aromas. 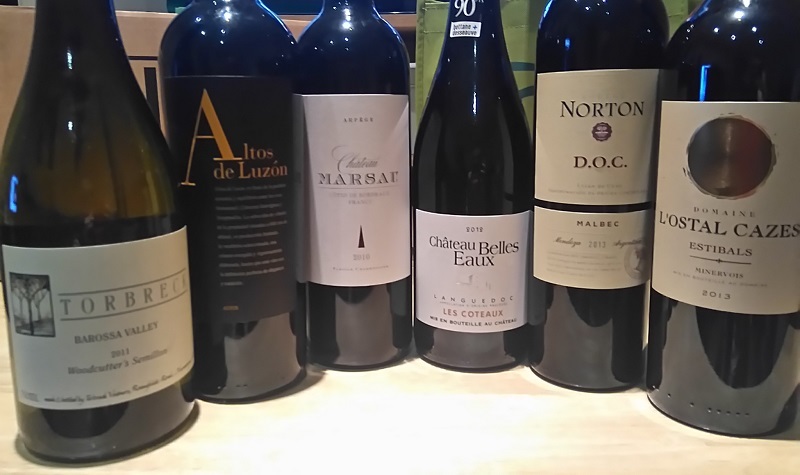 Why is it among our picks from the sale: With a price cut that puts it under the €15 mark, it’s way more complex than many other pricesakes and a good choice for lovers of rich, intense Spanish reds. Neighbouring Bordeaux, Côtes de Bordeaux benefits from a similar continental weather as well as the clay-limestone soils that grapes love so much. 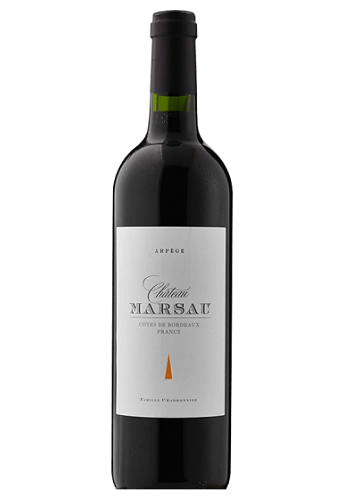 Arpège comes from old vines at Château Marsau, and its name, which evokes the musical technique of playing the notes of a chord in a pleasant sequence, foreshadows an arpeggio of ripe blackberries, sweet warm spice and smooth tannins. Why is it among our picks from the sale: Bordeaux lives up to its reputation when it comes to both price and quality, and this wine offers an affordable and very well made approximation to elegant Merlot. 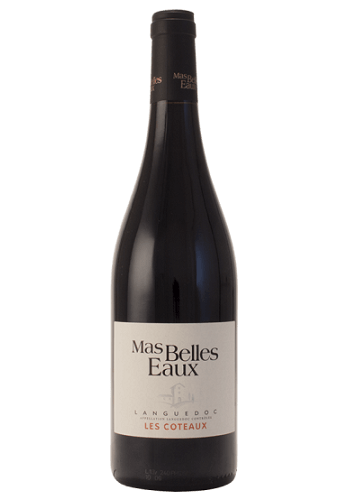 Spice and fruit blend harmonically in this rich, medium bodied and mild tannin red from the Languedoc a South of France area praised for its outstanding young or slightly aged wines. In this case, Syrah leads the blend and the result is a fruit dominated character with blackberries and cinnamon, and moderate tannins. Why is it among our picks from the sale: This wine is already reasonably priced at its regular value, but it became one of the best bargains from the sale at a tempting 50% discount. Grapes for this wine come from Luján de Cuyo, a small sub-region in Mendoza, Argentina, which gathers some of the finest examples of the expression thanks to its altitude (averaging 1,000 metres) which softens the otherwise hot weather. 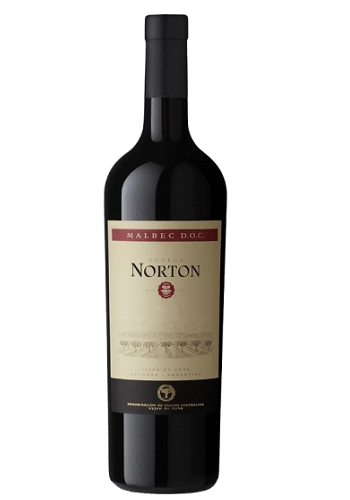 Deep and rich, dark ruby and medium bodied, it’s an elegant Malbec with aromas of plum, ripe cherries and the pleasant addition of black and white pepper in the palate. Minervois is an appellation located within the Languedoc. Carignan is usually an important presence in this region’s blends. This wine, named after one of the domaine’s best plots, receives 12 months of barrel ageing and lets Syrah rule the mix. Dark cherries and an herbacious, foresty nose is confirmed on the palate, where it also shows smooth yet sturdy tannins and a tasteful toasted note. Why is it among our picks from the sale: This wine is already reasonably priced at its regular value, now it’s a total bargain under €12. Carignan is having a moment and this is a great time to try a lovely blend with it.